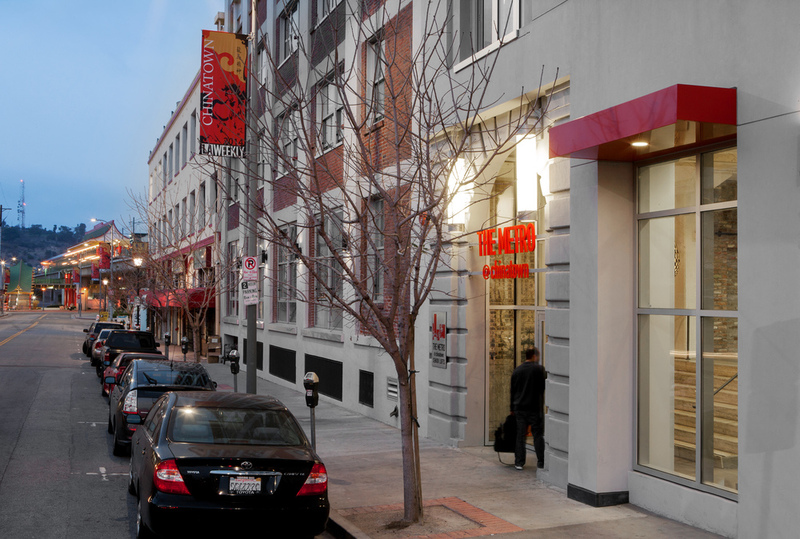 The Metro at Chinatown project is an adaptive reuse of two adjacent concrete buildings, one nine stories, the other six stories, that span the entire block, both dating to the 1920’s. 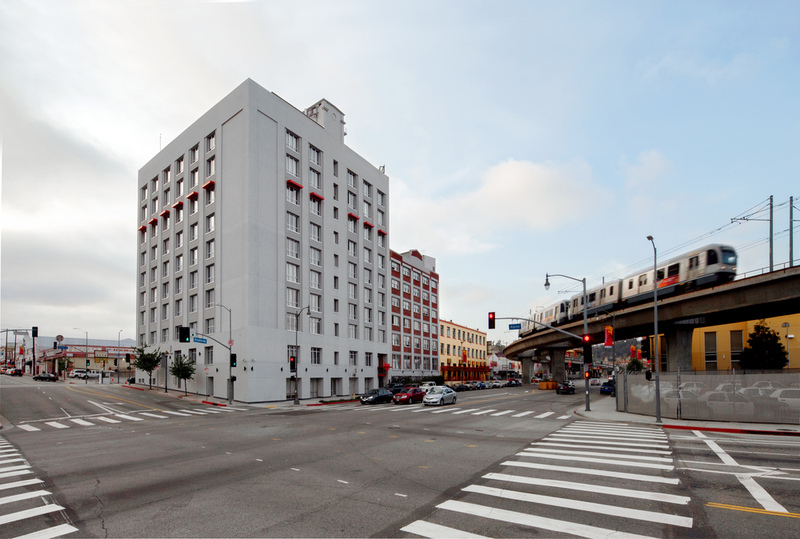 The project, senior 100% affordable housing, is located in Los Angeles’ Chinatown, in the midst of restaurants, retail shops and the Metro Gold Line Chinatown station. 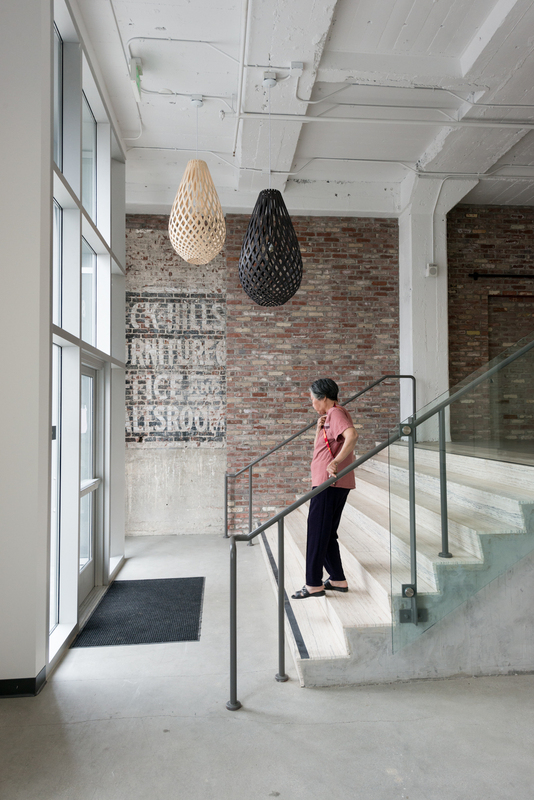 The project posed challenging constraints typical of the adaptive reuse of historic commercial concrete buildings: the existing building envelope, column grid, elevator core and stair wells. Additionally, the site presented a grade change of one story from one side of the block to the other. The approach to the project was to efficiently and artfully mold the architectural program and design to respond to existing conditions to ensure the program elements relate and flow well throughout the building. For example, the apartments are fit within the constraints of the column grid, elevator core and stair wells, necessitating a significant diversity of floor plans. In order to accommodate the grade change, the two-story lobby connects through the block, with building management and other community-oriented program located off of the lobby space. The roof of the six story building is used as a roof deck, connected to an adjacent community room on the seventh floor of the neighboring building. Building amenities include: a community room and adjoining roof deck, billiard and card playing room with mahjong tables, fitness room with fitness equipment, and screening room.